Mark Antokolsky was a famous Russian sculptor, realist, professor of sculpture. The boy was born on October 21 (November 2), 1843 in Vilnius, the Russian Empire. He was the youngest, the seventh child in a Jewish family. His parents were rather poor people and very religious. As a child Antokolsky drew wherever he could on the table, on the walls. When the child grew up, he was sent to learn wood carving. A. A. Nazimova, a wife of the governor-general and known patron of the arts, learned about the talented boy. Thanks to her Mark entered the Academy of Fine Arts. 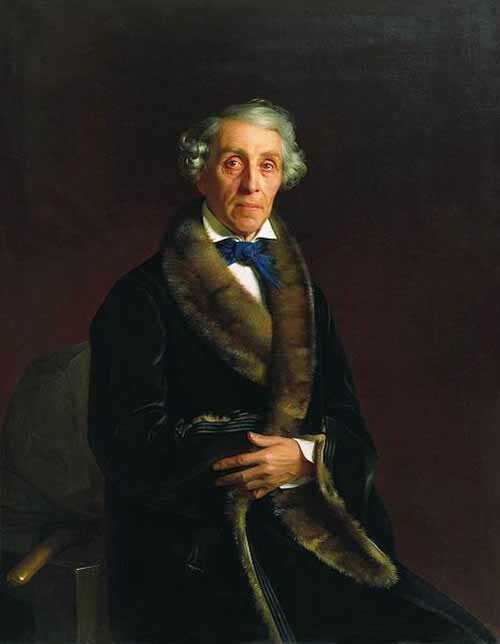 In 1864 Antokolsky was awarded a silver medal for the high relief Jewish Tailor. And four years later, in 1868, the artist received the gold for the high relief Jewish Miser. During his studies at the Academy Antokolsky became interested in Russian history and literature. In 1870 the sculptor created the statue of Ivan the Terrible, which had a tremendous impact. The young man was awarded the title of academician. Grand Duchess Maria Nikolaevna, who patronized the Academy of Arts, was delighted with sculpture and told the Emperor Alexander II about the work of the young artist. The statue made a huge impression on the tsar, and he bought it for the Hermitage for 8000 rubles, for those times it was a huge amount of money. 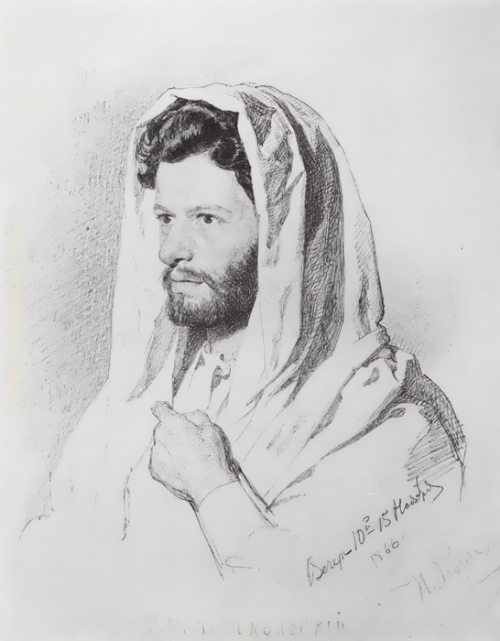 After graduating from the Academy in 1871, Antokolsky went to Rome and Paris. In Rome, he worked on the statue of Peter the Great and later it was sent to St. Petersburg. 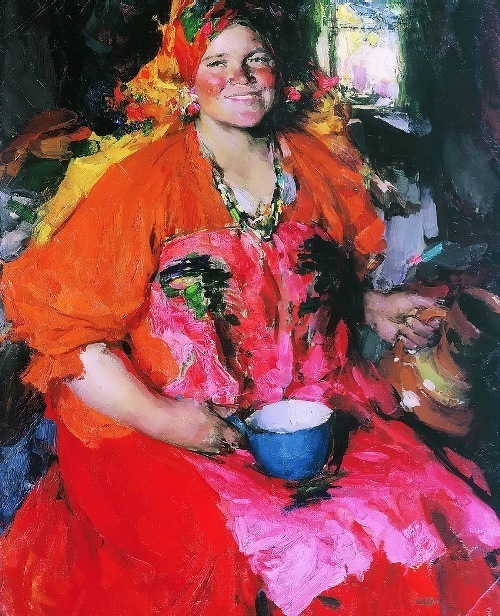 Abram Arkhipov was a Russian painter, Peredvizhnik. The boy was born on August 15 (27), 1862 into a poor peasant family in Ryazan Gubernia. This fact left an indelible mark on the life of the famous master, his whole creative career was devoted to describing the traditional way of life of the peasants, hard life and hard work of the simple people. Abram was very talented and the parents encouraged him. In 1877 he was sent to Moscow to study at the Moscow School of Painting, Sculpture and Architecture. 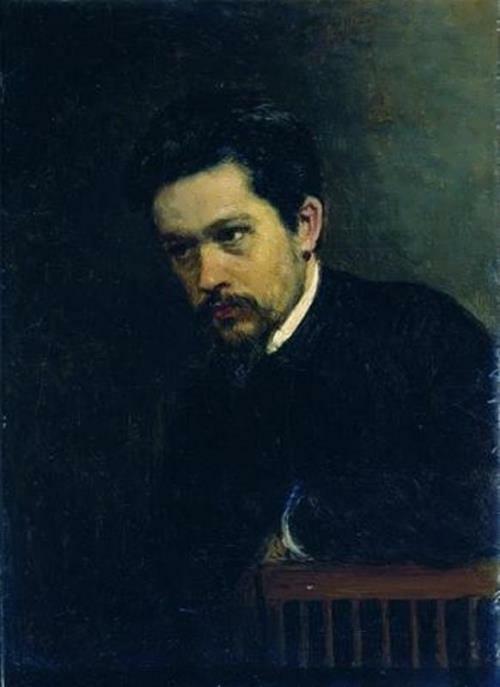 In addition, from 1884 to 1886 he studied at the St. Petersburg Academy of Arts. Arkhipov started out as a genre artist, as his teacher Vasily Perov. In 1887, Arkhipov got a large silver medal and the title of the class artist for the painting Visiting the Sick Woman, which depicts the artist’s mother. In 1891 Abram joined the Association of Traveling Art Exhibitions. Many works of that period, such as Visiting the Sick Woman, Along the river Oka, Lay Brother were bought by Pavel Tretyakov for his collection. In 1896 and 1912, the artist visited France, Germany and Italy. 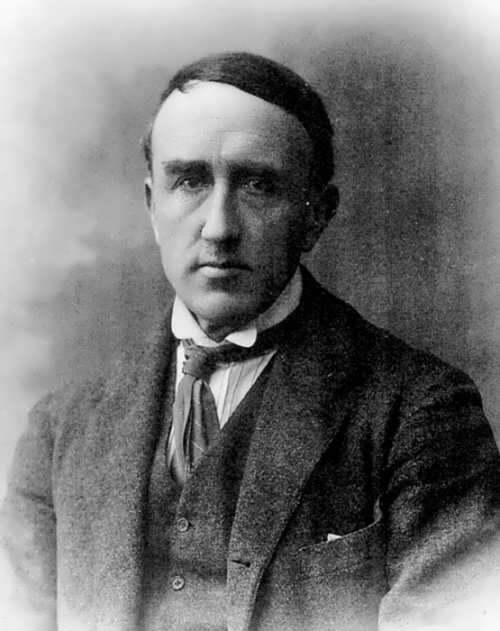 In 1898 he received the title of Academician (full member of the Academy of Arts since 1916). 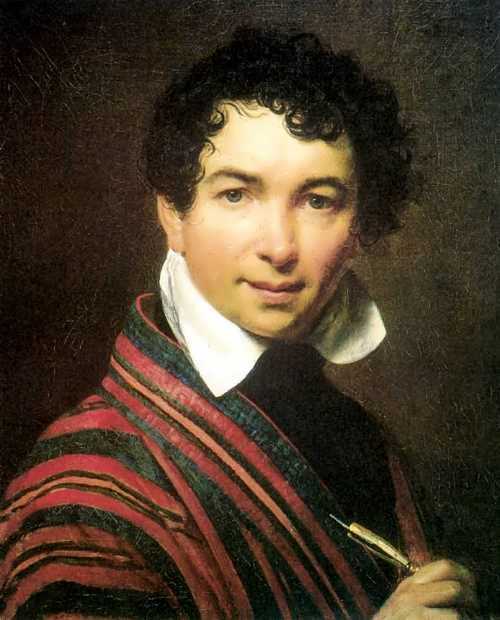 The Russian artist Orest Kiprensky, whose pictures excited the Russian public throughout the first half of the 19th century, was born on March 24, 1782. The boy was born in the estate of the poor nobleman A. Dyakonov. His mother was serf Anna Gavrilova. A year after the birth of the future artist, Dyakonov gave him the name Orest, but did not recognize him as a son. Anyway, he fully supported the boy, gave him freedom and took care of his future. According to the documents Orest became a member of serf Adam Schwalbe’s family. At the age of six, Orest was sent to study at the Academy of Arts in St. Petersburg. He studied at the Academy until 1803 and continued to study painting under the leadership of the famous Russian artist G. Ugryumov. The next few years Orest lived in the barracks, was humiliated. But strangely enough, an unhappy fate became an incentive for further creative development. The artist always took an album with drawings with him. Fedor Tolstoy (1783 – 1873) was a Russian sculptor, painter, printmaker, and medal-designer. To tell the truth, he is one of the most influential figures in Russian Art. Unfortunately, there is much less information about him than, for example, about Repin, Shishkin or Vrubel. Count Fedor Petrovich Tolstoy was born in St. Petersburg. The father of the future artist directed the military department to provide the army with uniforms and food. The boy’s parents were eager to see their son among the officers. However, the first education little Count Tolstoy received in the Polotsk Jesuit College, where he studied languages, theology and art. Soon the count entered the Naval Corps. As a cadet, Fedor attended the Academy of Arts as a free listener. The dream of becoming a professional artist was so strong that Fedor Petrovich decided to leave military service forever. Despite of the discontent of relatives and the opinion of others, he resigned and fully devoted himself to art. Those were years of hardship, but not for a single moment the twenty-year-old listener of the Academy of Arts did not regret his decision. He mastered the skill of the sculptor, and made sketches of plaster models under the guidance of his friend Orest Kiprensky. Fedot Shubin was the great Russian sculptor, one of the great masters of world art. You know, he studied not only in Russia, but also in France and Italy. The boy was born in May 1740 into a peasant family. His father Arkhangelsk Pomor Ivan Afanasyevich had slightly different surname – Shubnoy. He was not serf, could read and write, and was fond of bone carving. It was thanks to his lessons that Fedot decided to become a sculptor. To tell the truth, his father taught young Mikhail Lomonosov. In 1759, Ivan Afanasievich Shubnoy died, and his young son went to the capital. For two years the young man studied Petersburg, he did not live in poverty, as he easily carved fans, snuffboxes, combs and other trinkets. 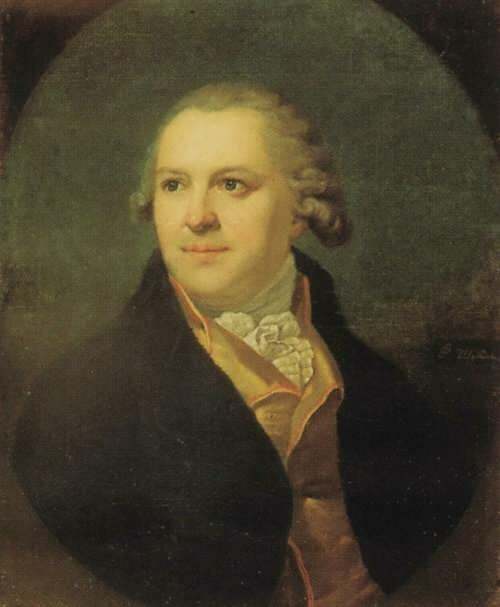 Lomonosov was happy to patronize the son of his first teacher, and in 1761 Fedot entered the Academy of Arts. The boy was very talented. Even Count Shuvalov was amazed by his first works and also willingly patronized him. In 1766, he made a bas-relief The Murder of Askold and Dir, which not only was awarded the Great Gold Medal, but the author also received a personal nobility and the first officer’s rank. Unfortunately, many of his works were lost. Nikolai Yaroshenko was a Russian painter and portraitist, active participant of the Association of Traveling Art Exhibitions. The future artist was born in December 1846 in Poltava into the family of a Russian officer, who later became a general. In 1855 the boy entered the Poltava Cadet Corps. Along with the daily military training, Nikolai was engaged in painting. Two years later, Yaroshenko was transferred to the First Cadet Corps in St. Petersburg. At the age of 14 Yaroshenko began to study in the studio of the artist Adrian Markovich Volkov. Having graduated from the Cadet Corps Nikolai entered the Pavlov Military School and began attending evening classes at the Drawing School of the Society for the Encouragement of Artists. Ivan Kramskoy became his teacher. In 1867 Yaroshenko entered the Artillery Academy, at the same time he began attending classes of the Academy of Arts as a free listener. Then he served in the St. Petersburg cartridge factory. In the early 1870s, the first portraits of the artist The Old Man with the Snuffbox, Peasant, Old Jew appeared. Yarosheko became a frequent guest at the drawing evenings of Ivan Kramskoy and Pavel Bryullov.